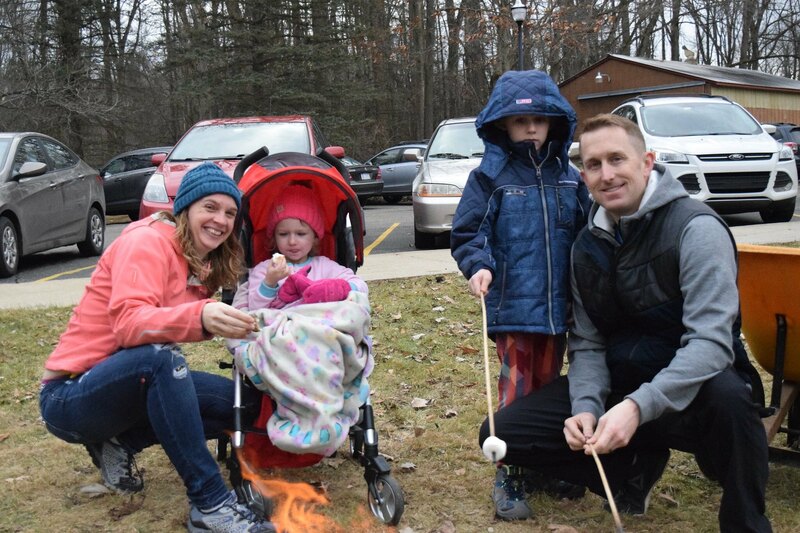 MERIDIAN TOWNSHIP - Families got to enjoy fluffy white dogs, a campfire, arts and crafts and more during the Winter Wonderland event at the Harris Nature Center on Saturday. The event was from 10 am to 3 pm and it included activities such as dog carting, roasting marshmallows around a campfire and games for the children to enjoy. Since there was not any snow on this particular day residents were not able to participate in cross country skiing or snowshoeing, however they were able to enjoy some free cookies and hot chocolate. According to Rich, after they added the dogs, Winter Wonderland grew into a bigger event. Residents, especially children, are all drawn to the puppies and what they can do. Rich mentioned that due to the changing weather the staff is thinking about adding more outdoor activities for future events.